Science and summer combine in the SoftScience Skiff flip-flops. This thong style sandal is perfect for the hot, casual summer days, but it also provides the comfort and support your feet crave. 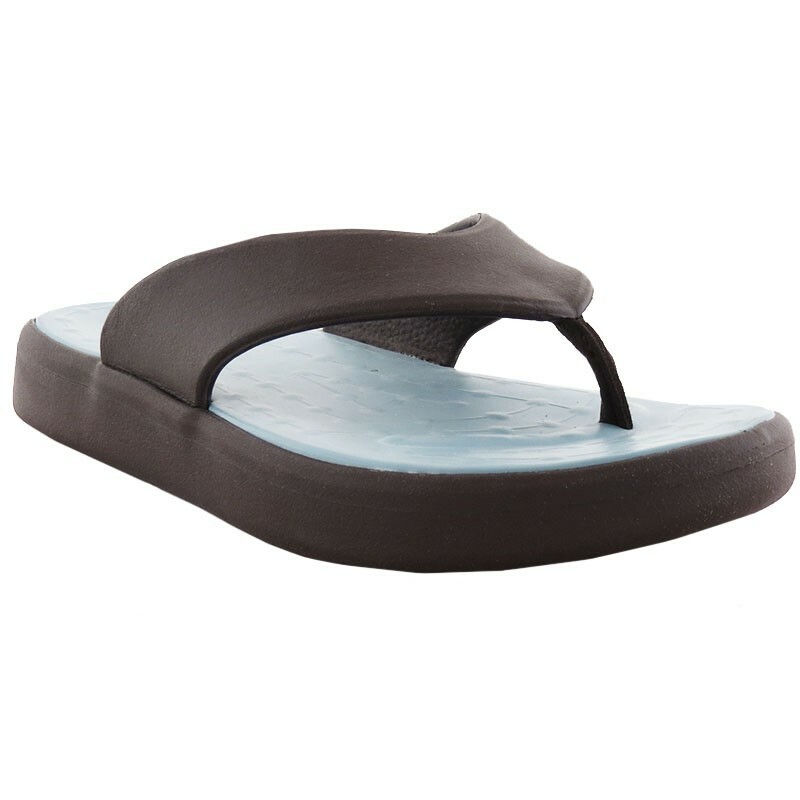 The key to these sandals is the lightweight yet superbly cushioned and stable build. Arch support helps to reduce heel pain associated with Plantar Fasciitis, as well as knee and back pain. The Universal Comfort Platform stabilizes while supporting feet, and the soft toe post and straps provide a secure fit. The Trileon non-marking and slip-resistant outsole keep you steady, even on slick, wet surfaces. Don't sacrifice comfort and support for the sake of flip-flops...with the SoftScience Skiff, you don't have to! The SoftScience goal is simple — to provide you with supreme comfort. SoftScience combines the benefits of a "level" foot bed, generous fit (to accommodate wider feet), and the unique cushioning and stability properties of Trileon™. The result? Uncompromising comfort in a range of attractive styles. SoftScience is committed to delivering a unique and pleasing footwear experience that is consistent across all collections and styles. Fit consistency and predictability are key ingredients to achieving the SoftScience™ comfort experience at work and play.